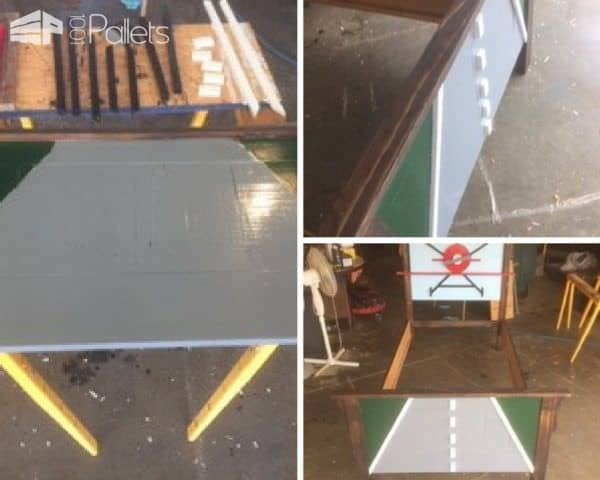 I made this Airplane-themed Pallet Kids Bed started out as a standard sized twin bed frame. I wanted to make a fun bed that kids would look forward to using! 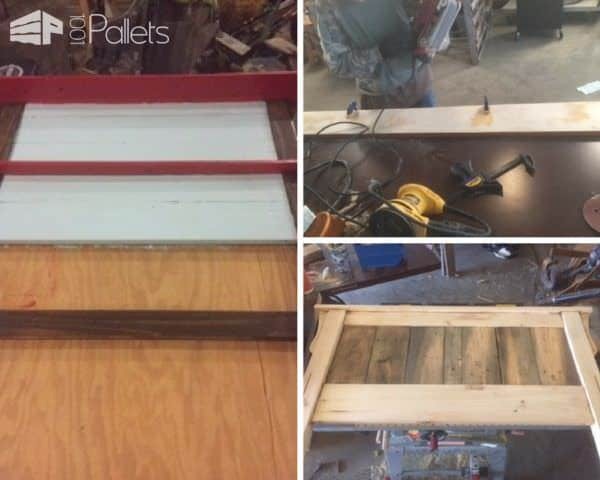 Although this plane-themed Pallet Kids Bed has a lot of steps, you CAN do it! The bed had small posts for the head and footboard to start. I used a jigsaw to cut them out and saved them to use later. I used a belt sander and a lot of hand sanding to get in the corners to remove the old finish. In hindsight, I should have used stripper because it gummed up a ton of sanding paper. Next, I used old pallets that I planed down to 3/4' thickness to replace the posts. 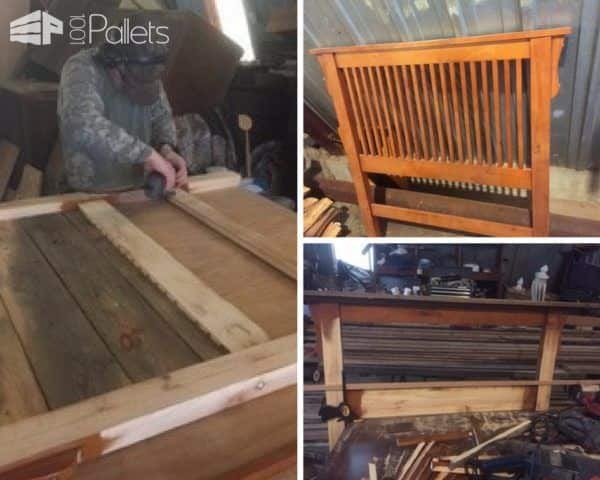 I secured the head and footboards with the new slats; I took pallets that were 46" long to make the upper and lower wings. Finally, I used dowel rods to attach the upper wing on the existing board. Then I notched out the lower to go flush on the headboard slats. 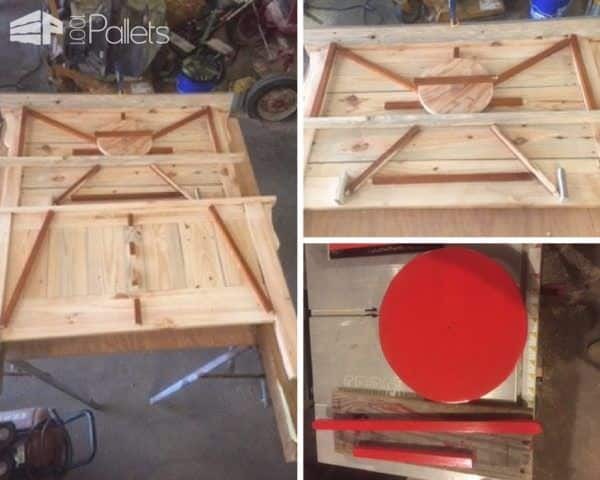 Keep going: you're partway there to building your Pallet Kids Bed! I sanded the old posts and used them as the struts for the plane and landing gear. I had two 14 5/8" pieces for the struts between the wings. Next, I used two 20" pieces cut at 45-degree angles. I cut two 12 1/2" pieces for the landing gear and an 18" cross-member between the gear. The wheels are a 4-inch circle cut in half. I used an old automotive belt wrapped around for the tires. The body of the plane is plywood cut into a 10" circle. The tail and stab are old posts as well, cut at 8" and 20" and rounded off on the ends. I made the prop from plywood, and it spins! The motor is an old camping coffee percolator. I attached things with wood glue and brad nails using an air nail gun. The paint is Rustoleum brand paint. The Red, blue and gray are gloss. The green, black and gray colors are semi-gloss. The polyurethane is satin, and the stain is Walnut. I found an image of a biplane that was simple enough to recreate as my inspiration. The original headboard is in the upper right-hand corner of this photo. Here I am modifying the headboard to suit my needs. Now the shape of the biplane on the headboard and the landing runway on the footboard are coming to fruition. The runway is taking shape. 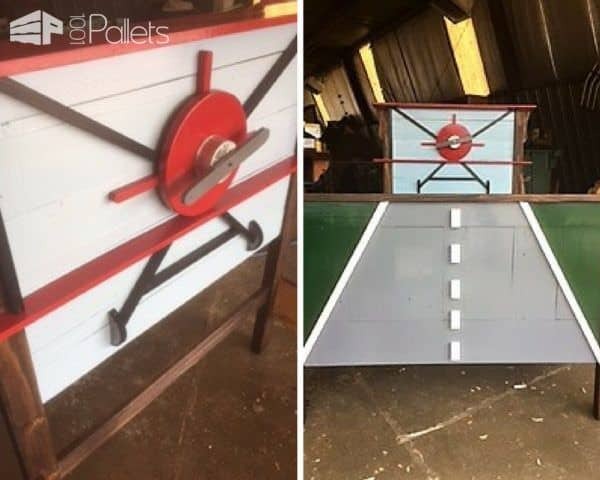 I painted the footboard background a gloss gray and used small pieces of pallet wood and other scrap wood to create the runway lines. The prop REALLY TURNS on this design. The view from the end of the bed looks like the plane is coming in for a landing and the mahogany-stained top of the footboard seems like the horizon! Turn old bike parts into a hand-crank wash tub for greasy garage rags. 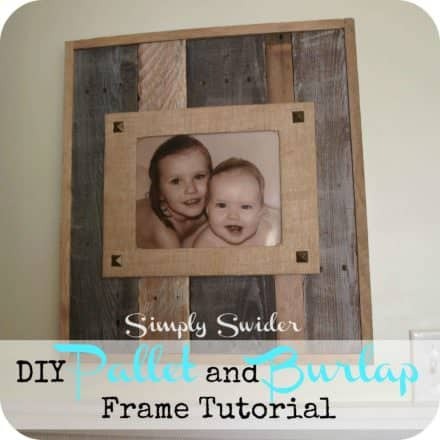 Make a Pallet & Burlap Picture Frame.